free PDF | Let their light shine! You can use this story about Hagar to teach children that God is everywhere. We can never be somewhere that is away from God. Wherever we go, God is there. 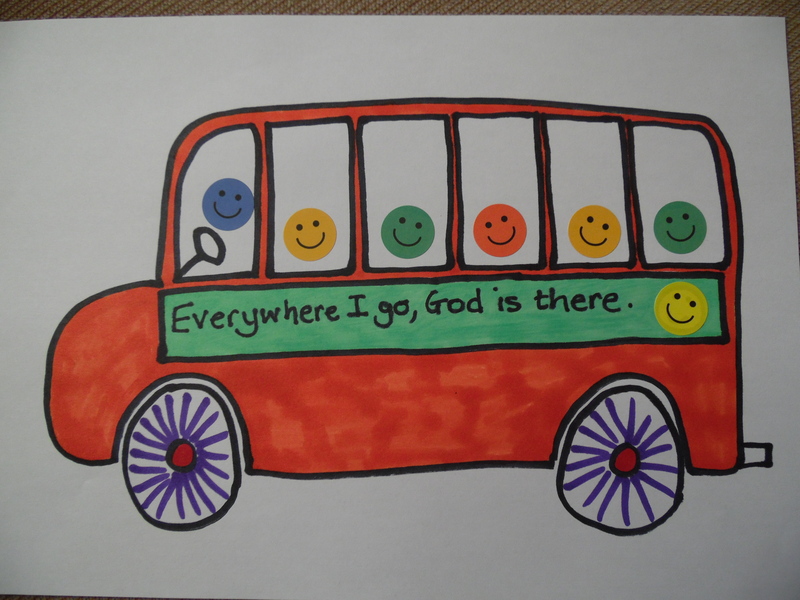 The suggested craft activity is a bus – children may sometimes go on a bus journey – but no matter where they travel to – God is there. This is a real comfort to children and adults. The story is written for telling at a toddler group. If telling to older children include more detail from the Bible passage. 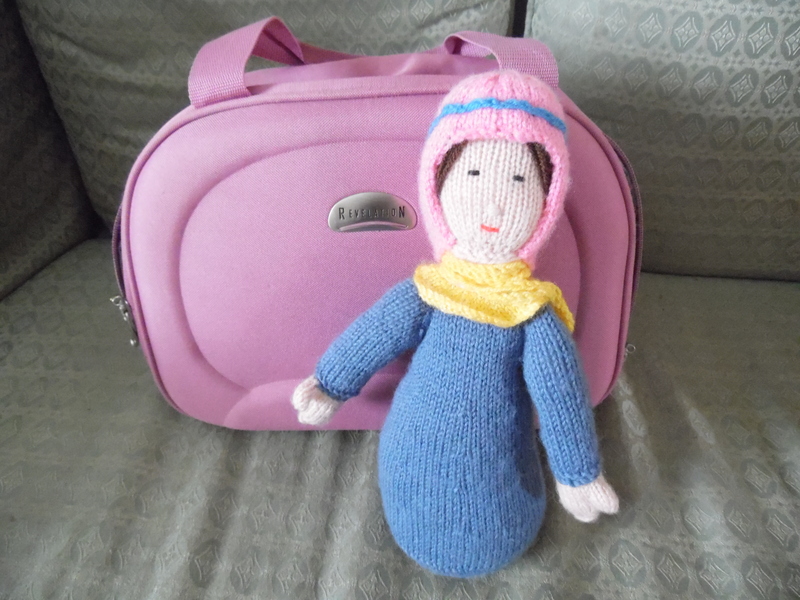 A story bag with a doll to represent Hagar. Hagar was very sad. Can you pretend to be sad? She decided to run away. Pretend to run by tapping hands on knees or run on the spot. Get the children to join in. Then she sat down. No other people there. But, God knew where Hagar was. He talked to her. ‘It will all be alright Hagar. Go back home’. Hagar listened. She knew God could see where she was. She knew that God is everywhere. ‘You are the God who looks after me.’ she said. Hagar was happy again. She went back home. God sees you too and cares for you wherever you go. Wherever you go God is there. 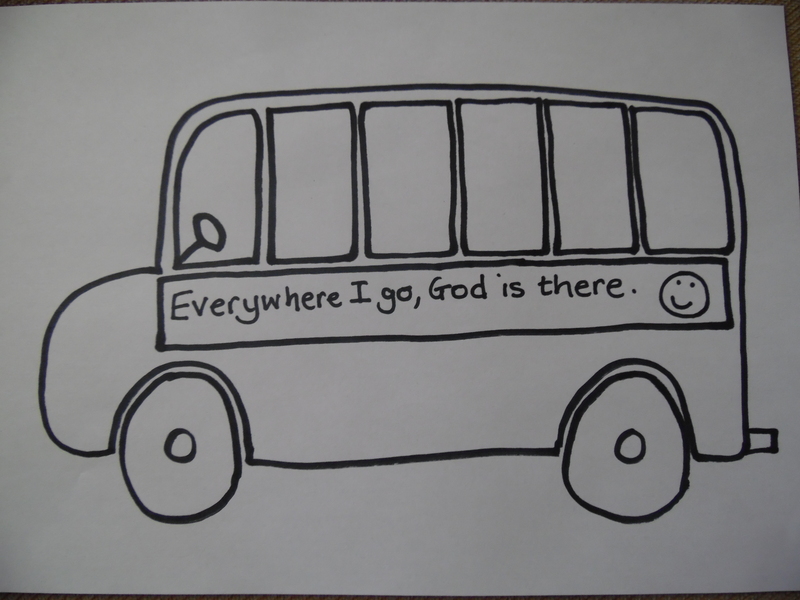 The following is a simple craft to go with the story – ‘Wherever I go, God is there’. Print as many as you need. The children can add colour and people. I used some smiley face stickers for the people on the bus.